and named it after the Latin rubidus. our stability is really freakish. 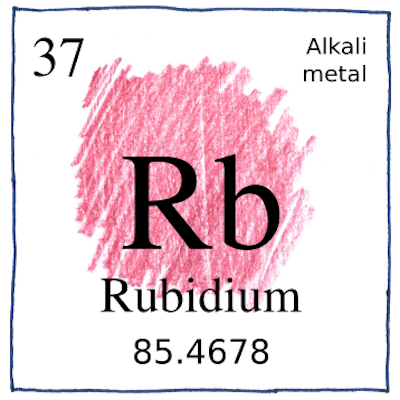 Bunsen and Kirchhoff obtained rubidium chloride from the same mineral water, from Dürkheim, in which they had discovered caesium, so rubidium became the second element discovered with a spectroscope. Bunsen attempted to isolate the metal by electrolysis of molten rubidium chloride; however, was only partially successful. So he tried again by heating charred rubidium tartrate, and this was successful. Bunsen managed to measure its density and melting point even though rubidium explodes from the humidity in air.